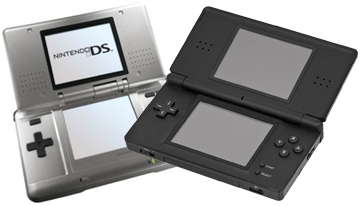 The Nintendo DS is a portable handheld created by Nintendo in 2004. Console Tool is a program that allows you to view the files in an NDS ROM, and export them. MKDS Course Modifier views the common NDS model format (read below) and allows the models to be exported in .OBJ format. For more details on this file format, please visit the Nitro Files page. The Nitro file system is a set of basic files created by Nintendo that helped developers quickly and easily develop titles for the console. Because of the simplicity of these files and the way they're created, it is the easiest common format on the DS to rip. SoundDATa: where sound and music are stored. To access through Tinke, highlight the file containing the .SDat icon (A musical note) and click "View". The only folders with accessible files are SWAR (for sound effects and individual sounds for music compositions) and STRM (depending on the game, contains fully assembled musical numbers, or cover songs broken into small segments of roughly 5-11secs each). Despite being a popular handheld, DS emulation has not progressed very well. For years, the most popular one has been DeSmuMe however the developers of the emulator have a certain dislike to a popular series and has a result affected emulation of the handheld even making it worse just so people can't play Pokemon on it. People have been using Drastic on Android and ironically runs faster than DeSmuMe when using an Android emulator. There is an emulator that is very early in progress called MelonDS. In the future, this will be recommended however currently it is at an early state so compatibility currently might be a bit low even though it can run many games, it might not be stable and is missing features even though it has WIP multiplayer functions. It also requires 3 ROM dumps (two for the ARM processors and a firmware one) to run.